It is a special day today, as we bring Casino Streamers Big Wins – week 40 / 2017. 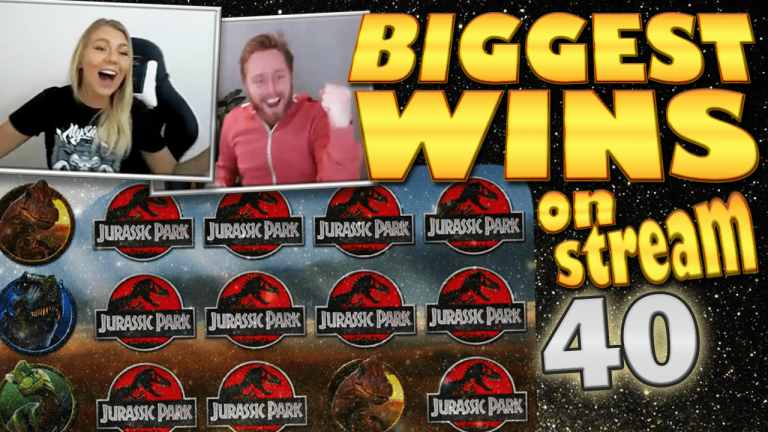 This is the 40th big win compilation for this year. Therefore we have to say a big thank you to all you viewers for your support of these segments. And for this occasion we have a number of incredible big hits, with the last win being an absolute monster win. Back to today’s streamers biggest wins, we include wins from the 2nd until the 8th of October 2017. Watch a quick montage of the wins on the video below. 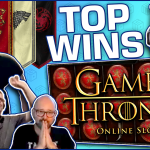 Follow the detailed videos of every win from each of the streamer’s personal Channels. 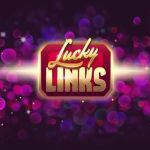 David Labowsky is having a huge amount of luck on big bet games lately. And last week was no different. The streamer was playing Red Hot Wild on a €30 big bet when an amazing spin, gave a super big win of €2500. I don’t know how David does it, but we can’t wait to see what other big bet slot, he will crush in the future. If you want to “get payed” you can play this slot game at VideoSlots casino. 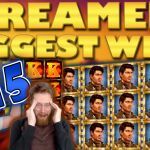 We contiune Casino streamers biggest wins – week 40 / 2017 with yet another win from CasinoTest. This time on the Jurassic Park online slot. The casino streamer was paying €1.80 bets when he got the bonus feature. This was an incredible bonus, with one of the spins giving 3 wild reels and a perfect combo. As a result the the total win was a whooping €1226. 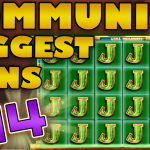 Play this slot at Casino Room for real money, and make sure to let us know which feature do you like best. Nick's love affair with Big Time Gaming continues, this time on the Star Quest slot. The casino streamer was playing £1 bets on Casumo when the magic happened. After a number of dead spins, the queens descended upon the reels, stacked and ready to pay big. Thus, thanks to, almost, a full screen the result was a huge £720 total win. Getting the hot mode bonus on the Terminator 2 slot, can result in spectacular wins. The hot mode can enhance a normal bonus exponentially, thus result in massive hits. That is why every player, or slot streamer loves to get the hot mode on Terminator. And it is not an easy feature to get. On the contrary, it is extremely unlikely to trigger the hot mode. In fact, rough estimations from casino streamers state that the Hot Mode on Terminator might trigger between 100 normal bonus features. But these are not exact numbers, and the feature might be even more difficult to get. Therefore, when Shirox activated the hot mode on Terminator twice, it made for one of the most unique moments on casino streaming history. Both hot modes were on a €4.8 bet, and Shirox got the second, after only 40 spins from the previous Terminator hot mode. Thus, two insane bonus round which we won't spoil, as you need to watch for yourself to truly enjoy. Let’s just say that after the super mega win, more and more players will give the Terminator 2 slot a try. 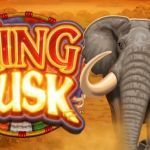 Finally, if you want to try this casino slot, you will find it at Unibet casino. Want more content like this? Check our Casino News section which is updated on a daily basis.